MDHA sends two Mentor Liaisons to 2018 Annual Session in Columbus, Ohio! Congratulations to (LEFT) Amanda Berthiaume, RDH, BS and (RIGHT) Monica Kwan RDH the first recipients of this wonderful opportunity! The state mentor liaison team is a group that was formed at the state level to assist the Dental Hygiene College’s SADHA advisors with their efforts of connecting the students with the Massachusetts Dental Hygienists’ Association. The Liaisons goal is to help open up the lines of communications and establish a future link between the students and the Massachusetts Dental Hygienists’ Association. The Liaisons visit their Alma Mata’s and talk with students about their professional association and what the MDHA does to benefit the dental hygiene profession, but we also want to offer an opportunity to get involved and explore future leadership roles as new dental hygiene professionals after graduation. Amanda graduated with honors in 2015 from Springfield Technical Community College (STCC) and is currently pursuing her master’s degree in dental hygiene education at Massachusetts College of Pharmacy and Health Sciences. An ADHA member since 2013, she is proud to serve as a student liaison between The Massachusetts Dental Hygiene Association and STCC. She works full time as a lead hygienist for a growing multiple-office private practice in Massachusetts. Her passion for public health and education has inspired her to work as adjunct faculty in the STCC Dental Hygiene Clinic. Monica graduated from Mount Wachusett Community College (MWCC)’s dental hygiene class of 2016 and dental assisting class of 2014, graduating with Dean’s List Honors and High Honors. She currently works as a full-time registered dental hygienist in a private periodontal practice while pursuing a Bachelors in Dental Hygiene from Minnesota State University, Mankato. Monica has experience working in a variety of dental settings including private practice, with public outreach programs, and assisting with complex patients who require moderate intravenous sedation. She loves to expand her knowledge of dentistry and feels happiest when her patients are satisfied with their smile. Monica is an alumnus of the Phi Theta Kappa Honor Society and a current member of MWCC’s Advisory Board Committee. She is grateful to have received the MWCC Dental Hygiene Department Award in 2016, the MWCC President’s Commitment to Diversity Award in 2015, the Dr. Stephen Stone Educational Stipend in 2015, the Arthur F. Haley Scholarship from 2013-2015, and the Sterilite Student Success Fund Scholarship in 2012. In her spare time, Monica enjoys volunteering at events like the Oral Cancer Foundation’s 5K Walk for Awareness as well as painting, drawing, hiking, traveling, and spending time with loved ones. She is thrilled to be selected to attend ADHA’s Annual Session in Columbus, Ohio in June 2018. CONGRATULATIONS AMANDA AND MONICA, and thank you for your involvement with MDHA! Please join us for another exciting day on Beacon Hill to promote the profession of dental hygiene and advance MDHA’s legislative agenda at the State House. Our day on Beacon Hill is an opportunity for our lawmakers to hear from you, their constituents, about how our profession can help to improve access to oral health care for all residents of our state. This event has been a great success in years past – don’t miss out on making this year’s event an even greater success! The day includes an exciting panel of speakers, and opportunities to speak with your individual legislators. •	One (1) Free Continuing Education Credit for attendance at presentations and participation. MDHA Would like to wish you all a happy holiday and happy new year with a little help from our friend Santa! Congratulations to Gail Weisberg and Project Stretch! In August of this year Project Stretch opened a dental clinic in Honduras, and Gail was there for the Ribbon Cutting Ceremony. Heartfelt thanks to Project Stretch and Gail for their commitment and dedication to the people of Honduras and their oral health. 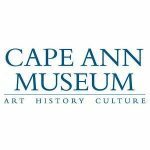 MDHA celebrated Dental Hygiene month with a visit to The Cape Ann Museum, many thanks to Mary Kellerman and Janet Lamkin for arranging a fun filled day at the Museum and lunch at Passports in Gloucester. It was a beautiful fall day and a wonderful time to catch up with old friends and make some new ones. As the year continues please keep the words from Hu-Friedy close and continually be empowered by your education and passion to improve the lives of your patients – stay connected. On Sunday, October 15th , the Southeastern Component had their yearly component event featuring various speakers. The enclosed picture shows Robin Chippa receiving an award for her dedication of thirty years as treasurer from the Southeastern Component’s officers. Thank you for your service Robin! MDHA makes channel 5 EyeOpener–Check out the video here! The MDHA Council Chair of Public Relations and the MDHA officers are pleased to announce that Channel Five (ABC) has released this video (see link below) in honor of the month of October being National Dental Hygiene Month. At the MDHA House of Delegates in September, the officers and members composed this video in honor of all hygienists in the Commonwealth. It was televised today, October 9th at 5:15 AM& 6:15 AM during the EyeOpener show. Thank you Channel 5 for helping us to remind everyone to schedule an appointment with a Dental Hygienists! It is a great honor to be incoming president of a thriving, professional association such as the Massachusetts Dental Hygienists’ Association. For 73 years, MDHA has been making an impact on the profession of dental hygiene for all hygienists practicing in the Commonwealth. Since 1944 when MDHA began with eleven hygienists, membership and partnerships have grown. Dental hygienists have brought MDHA ‘s mission statement to the forefront through legislation that includes the passage of the local anesthesia in 2005, the Omnibus Oral Health Act-Chapter 530 of the General Session Laws Public Health Dental Hygienist in 2008, increasing the number of registered dental hygienist on BORID from one to two in 2013. 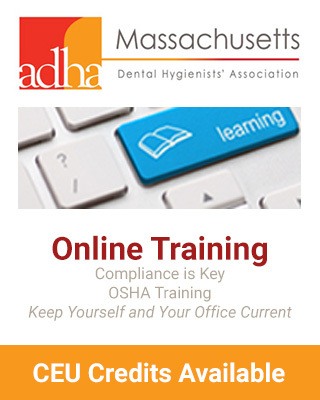 Dental hygienists in Massachusetts are proud to provide all residents quality oral health care as clinicians in private practice or in the field providing educational workshops in elementary and high schools, nursing homes, senior centers, & health fairs. Dental hygienists serve as educators and researchers paving the standards of quality for the future of dental hygiene. Dental hygienists in the corporate world continue to provide valuable insight with products. The common goal all dental hygienists’ role share is reflected in the mission statement. We continue to see these efforts today as MDHA continues to forge the profession forward by the current legislation for dental therapists, enabling hygienists to administer nitrous oxide and enabling hygienists to bill third party payors. Throughout my thirty two years of practicing dental hygiene as a clinician and educator, I have seen so many accomplishments for the profession first hand through the dedication and passion of so many, especially by the hygienists present in this room. The quote by Sir Isaac Newton, “If I have seen a little further, it is standing on the shoulders of giants” reflects how MDHA has been formed and continues to thrive by hygienists mentoring others to move the profession forward. Through our professional association each and every dental hygienist in this room have devoted their time and provided input with one drive in mind – to improve and maintain the profession of dental hygiene. We all are united with this goal, which is driven by our passion/love for the dental hygiene profession. I have been fortunate to have had enriching professional experiences such as attending unleashing your potential to build leadership skills, attending ADHA Annual Sessions and MDHA Board of Trustees meetings. Attendance at all these events has made me a stronger individual who is now able to lead our association with a true understanding of the importance of belonging to one’s professional association in an effort to lead the profession forward. I have realized throughout all these years that an important element of a professional association is the CONNECTIONS that one makes. Connections can be a group of people, who together, establish and strive to achieve the same goals. As president I plan to work with all board members, committee members, dental hygienists, and stakeholders to continue to make improvements while developing strong working relationships. Every professional is enriched by sharing information with others. I encourage all hygienists to make connections to share information and expand their learning in their professional lives. As president I will continue to bring forward our mission statement by working together to accomplish the goals of providing quality oral health care to the residents of Massachusetts while strengthen and enriching ones’ professional career. So many exciting changes are occurring in our professional association. With the new MDHA governance evolving, I encourage hygienists to seek opportunities with a MDHA committee of interest or their components. Each MDHA committee will be involved in activities and value your suggestions. Components have restructured and would appreciate new ideas. This is a time to make connections to form a strong link with all dental hygienists with a goal to build ones’ profession. With grace and gratitude, I am excited to accept this position to be able to work with each and every hygienist in the Commonwealth to bring forth the goals to strengthen ones’ professional career and the dental hygiene profession.